Well not me, but my photo actually. 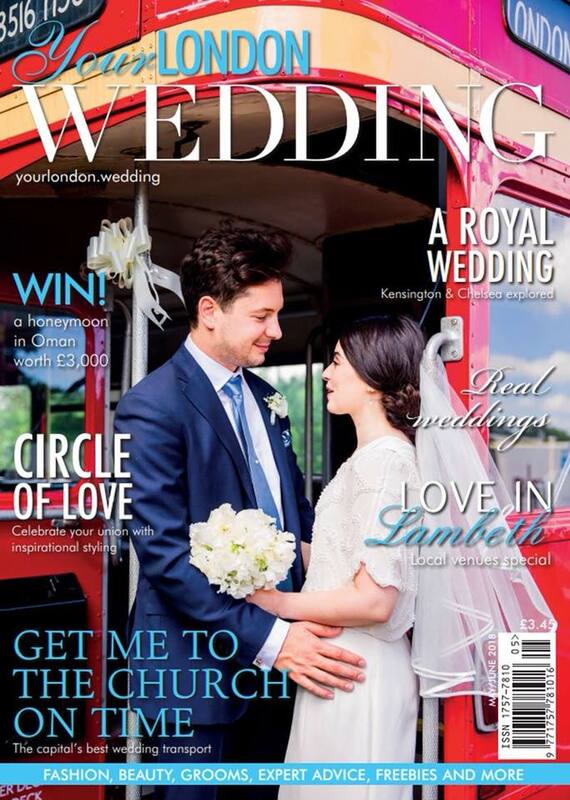 One of my weddings from last summer has been featured as a real wedding in Your London Wedding magazine. 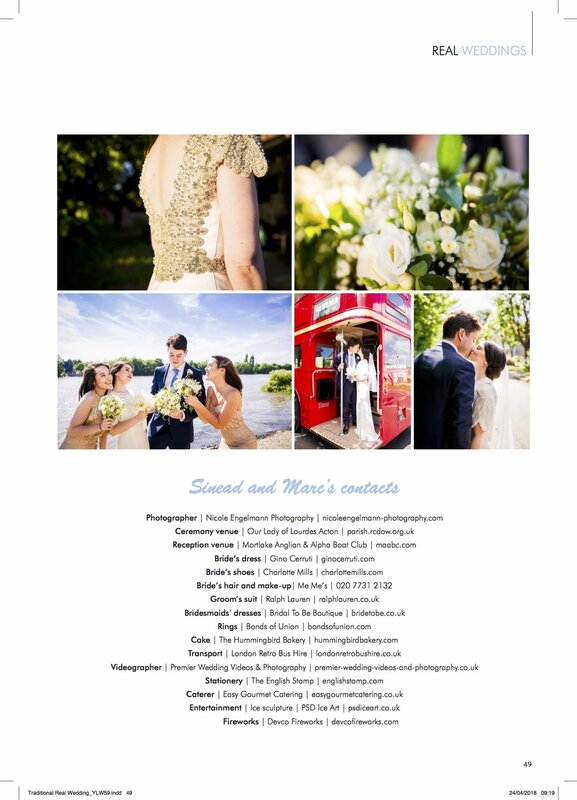 The magazine contacted me back in March to see, if I was interested in featuring one of the weddings I shot in their magazine and as you can imagine I didn't have to be asked twice. 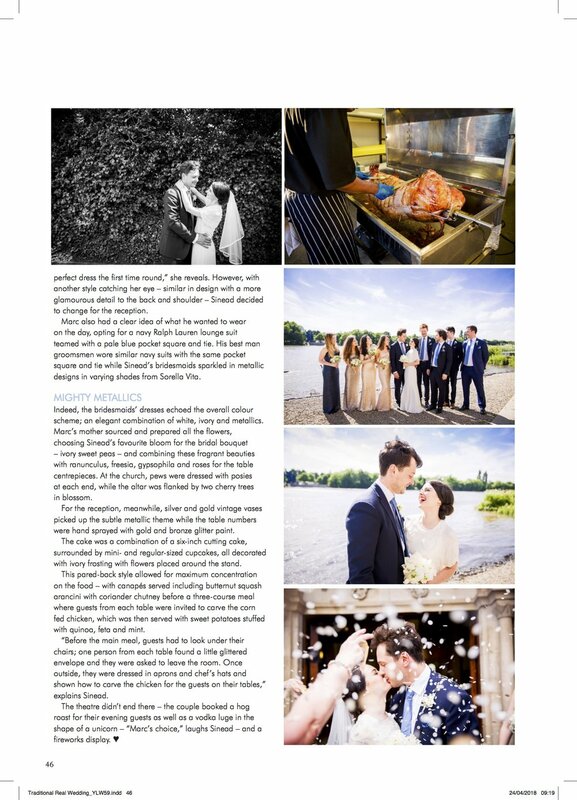 Bride and groom, Sinead & Marc were thrilled that their wedding day was going to be published. I've blogged their wedding before and it is one of my all-time favourites. It was a really fun day to capture, as both their families and friends were very welcoming and laid back. 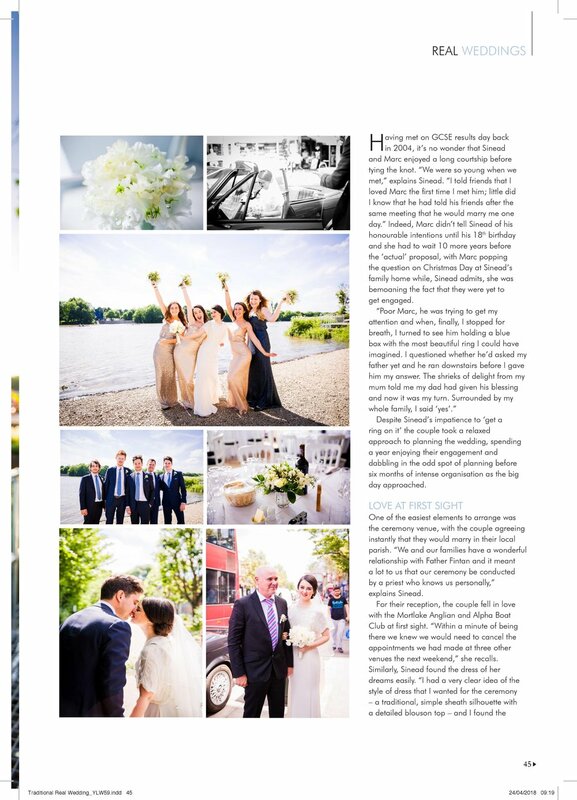 They had a beautiful church wedding in Ealing and celebrated their first day as husband and wife in Chiswick at Mortlake Anglian & Alpha Boat Club.